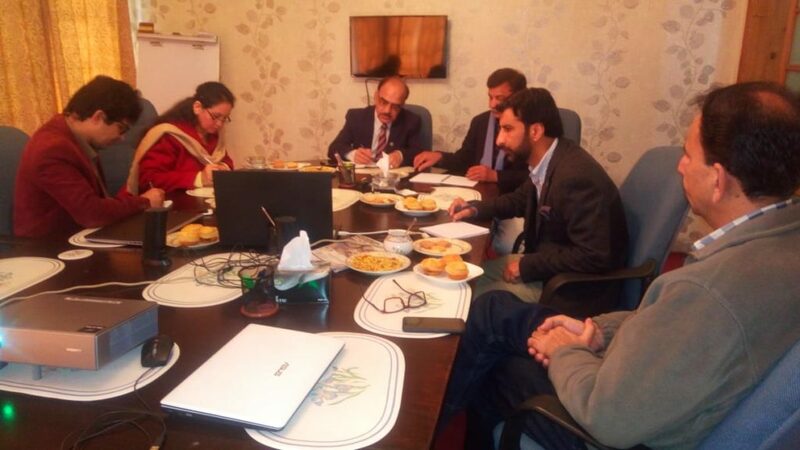 A meeting of the core committee on ECD conference was held in Islamabad to finalize conference themes and timeline. Vice Chancellor KIU Prof. Dr. Attaullah Shah presided over the meeting. Ms. Khadija CEO PEFEC, Dr. Muhammad Ramzan Dean Social Science, Mr. Wasim Samad CEO Rupani Foundation, Dr. Sadruddin Qutushi conference secretary, Dr. Asif Khan Assistant Professor Education department and Mr. Muhammad Ilyas Director IPD attended the meeting. It was decided that the conference will be organized in two parts one in Islamabad and other in Gilgit. A committee is also constituted to finalize themes of the conference. Dr. Qutashi updated the members on progress on Centre of ECD at KIU. In addition, Mr. Wasim Samad updated that the module for ToR is finalized and will be shared with KIU soon.